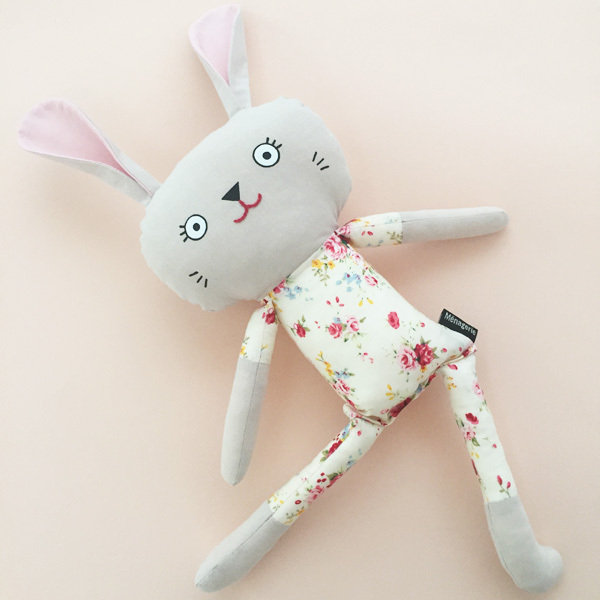 Pyjama Bunnies are friendly companions from playtime to sleep time! They are available in a wide range of limited edition fabrics and will steal your heart with their kooky smile. 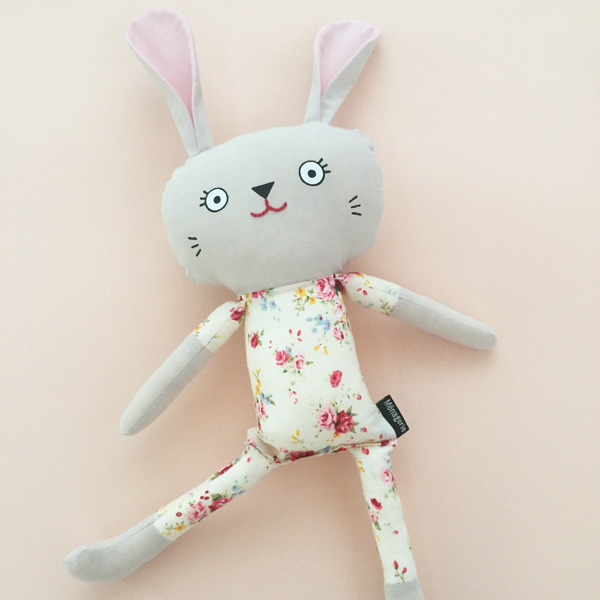 Pyjama Bunnies are safe for little ones as they have no loose parts. That makes them the perfect gift for an expectant mama or the little hooligans in your life. 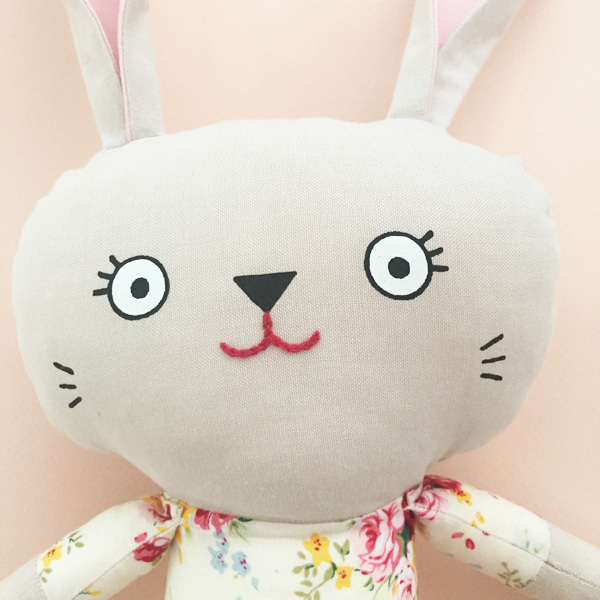 This listing is for the bunny pictured with cream and pink rose pyjamas. All materials are 100% cotton. Screen printed and partially embroidered face; no loose parts. 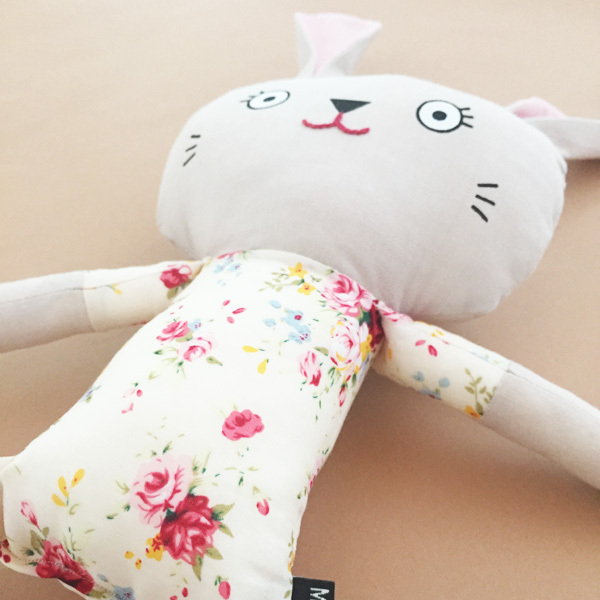 Notify me when Pyjama Bunny Easter rose Pyjama bunny - Easter flowers is available.